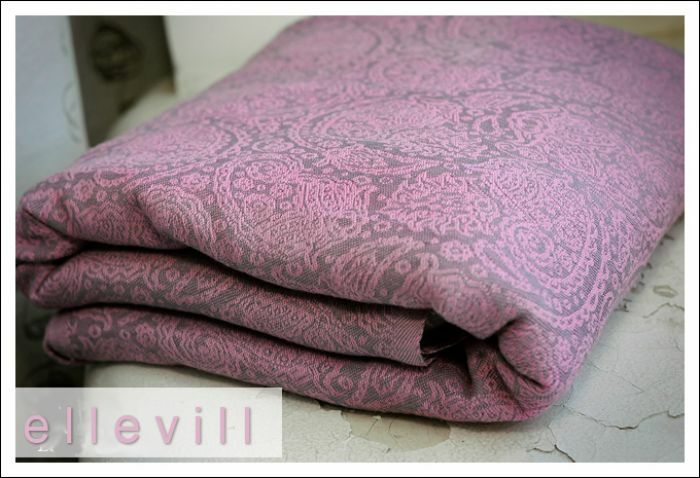 Ellevill’s paisley design shines in soft pink and gray, a stunningly tender effect reminiscent of antique lace doilies and delicate tea sets. This beautiful Paisley motif of Indian and Persian origin is similar to half of the Yin yang symbol, and is believed to be a Zorastrian symbol for life and eternity. 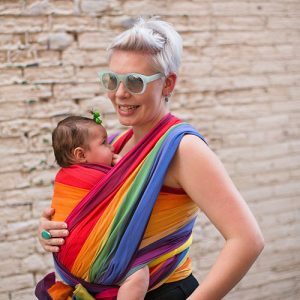 SilverPink is 50% soft bamboo and 50% cotton for a soft and comfortable wrap perfect for front, back and hip carries with babies of any age. In stock wraps will ship the same day or next business day. 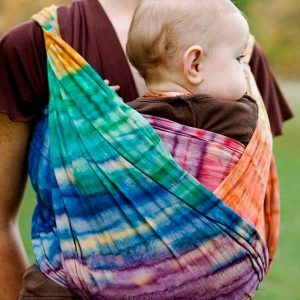 Backordered wraps are expected in about 4 to 8 weeks and will be shipped to you as soon as they arrive! SKU: N/A. 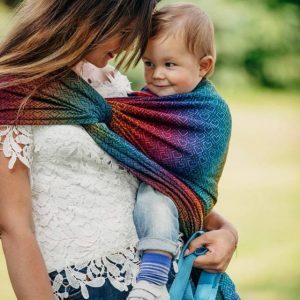 Categories: Bamboo Blend, Ellevill Wraps (soft and airy), Geometric Patterns, Pink Wraps, Solids, Woven Wraps for Summer, Wraps for Beginners. Tag: norwegian paisley gsw tapered supportive bamboo linen. 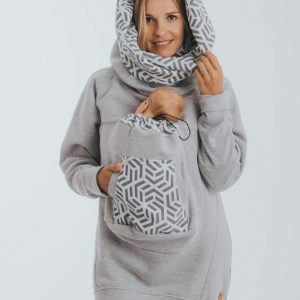 These much-coveted Ellevill wraps are re-stocked monthly but fly off the shelves fast so some of the wraps may be back-ordered. 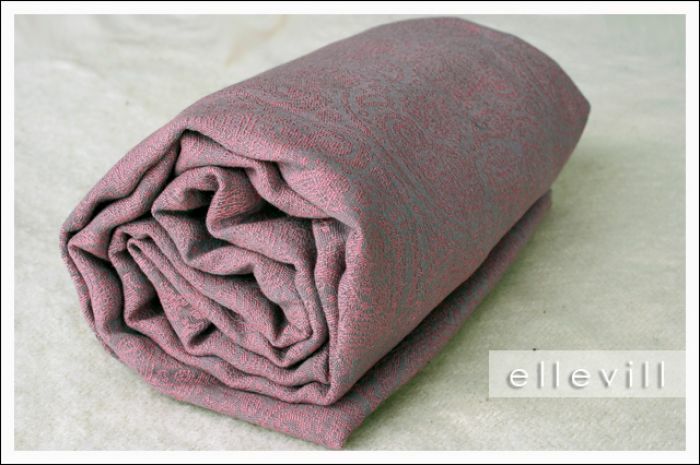 Email me if there is anything you are looking for that you don’t see: diana@wrapyourbaby.com Ellevill’s paisley design shines in soft pink and gray, a stunningly tender effect reminiscent of antique lace doilies and delicate tea sets. 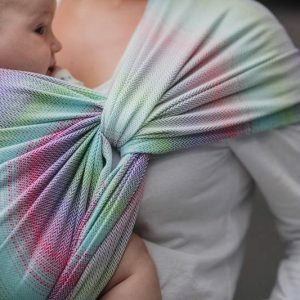 SilverPink is 50% soft bamboo and 50% cotton for a soft and comfortable wrap. This beautiful Paisley motif of Indian and Persian origin is similar to half of the Yin yang symbol, and is believed to be a Zorastrian symbol for life and eternity. 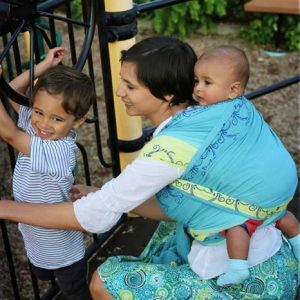 Ellevill wraps support your newborn, baby or toddler in front, back and hip carries with optimum positioning and comfort! They can be machine washed (warm) and it is recommended to iron after wash to stretch the fibers. 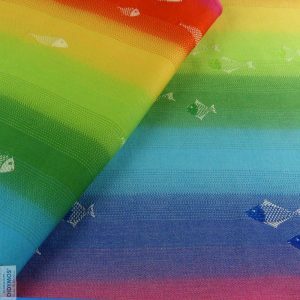 Ellevill wraps are 70 cm wide. They have long tapered ends for easy tying and small knots. 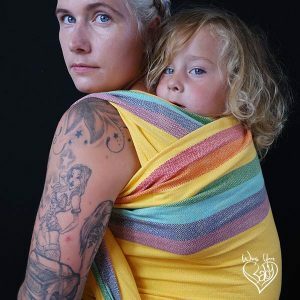 Designed in Norway and machine-woven in India under fair trade conditions, these wraps are made of 100% natural materials.